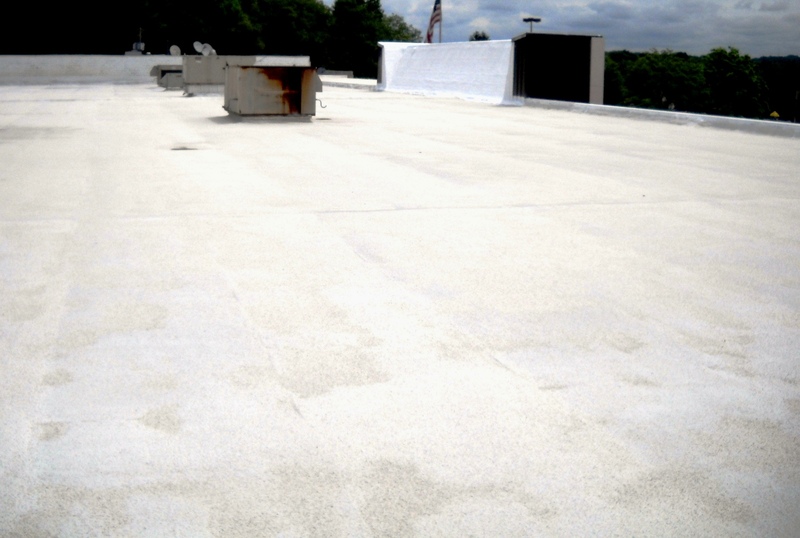 Stop the leaking and improve the insulation value of the shopping center roof by replacing the rubber roof system with a new foam system. The potential for overspray was a significant concern. 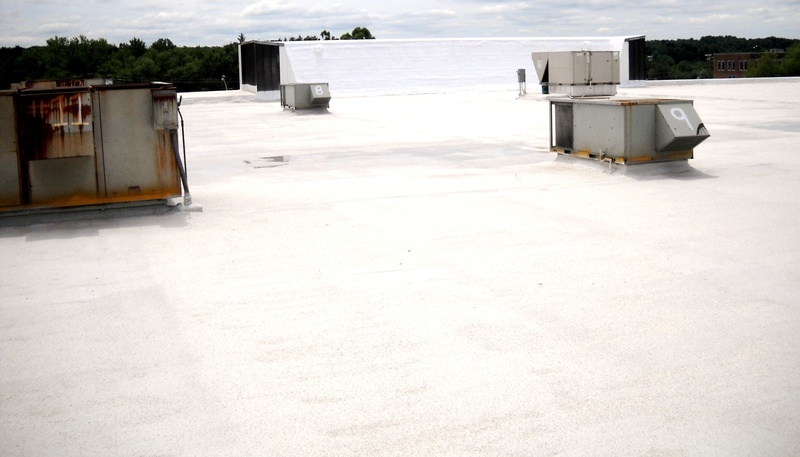 The shopping center was undergoing significant renovation and the owner did not want the roof replacement to provide any further disruption to the tenant’s businesses. 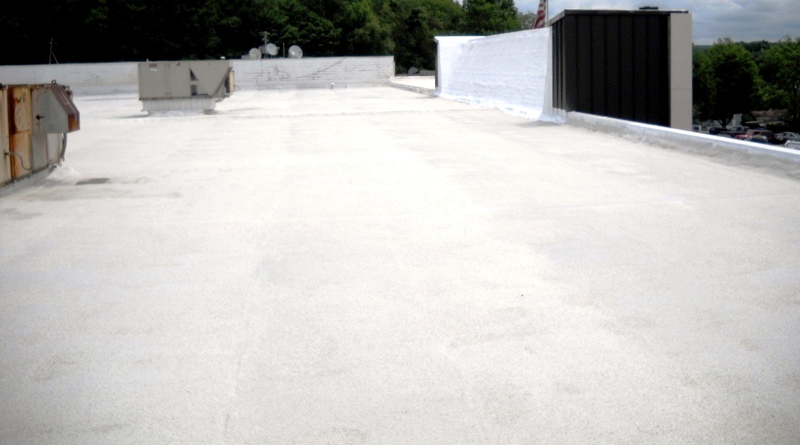 The existing rubber roof was removed, damaged insulation board replaced with new board installed over the entire roof. Foam was applied and then silicone coating with granules embedded I the top coat. There was no disruption to shoppers or tenants. Not a single overspray issue was reported. Tenants are pleased that the owner not only has eliminated the leaking but invested in a roof which will have a return to the tenants in reduced energy costs. The owner is pleased that the tenants are now happy, likes the appearance of the roof and considers it a terrific upgrade. He likes knowing that FoamCoat’s Full System warranty means he has no additional short-term repair costs or decreasing coverage during the warranty period . 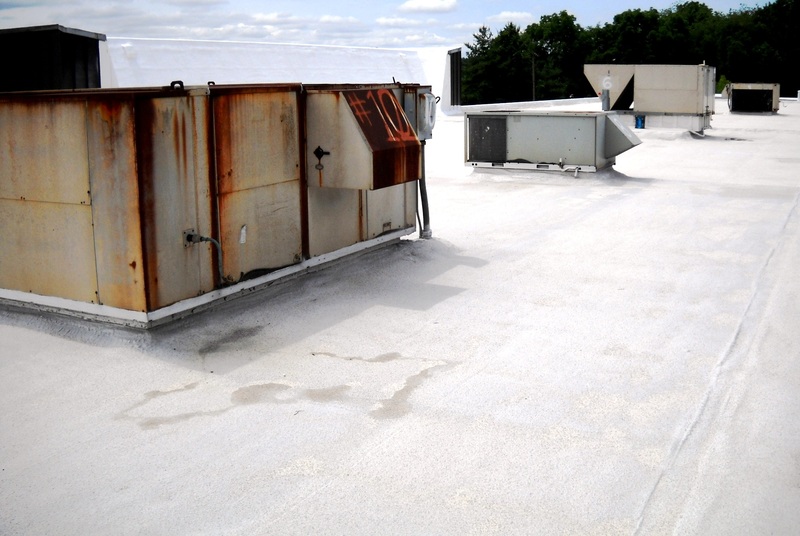 He is relieved that by properly maintaining his foam system he should never have to consider another tear-off or roof replacement of his shopping center roof.